What Do You Do with Old Running Shoes? As a sprinter or runner, you know you should throw away your running shoes or training flats before the soles shows signs of excessive wear. Why? Because the padding on the inside has lost their effectiveness. This isn’t a shameless plug for Nike, Reebok, Puma or Adidas to buy more shoes. In my case, even though I do all my tempo strides on grass surfaces, the front portion or the area under the balls of the foot is the first to go. The soles of the heels are still relatively brand new, and they still look good on the outer wear. As a sprinter, I do not run heel-toe as most distance runners and joggers. So, what do you do with your old running shoes? I usually kept an old pair for cutting the grass, or for walking on the beach. The other pairs go to one of my charities, such as the Union Gospel Mission in Downtown Eastside Vancouver. I recall Nike had an old program called the Reuse-A-Shoe campaign that shredded and recycled the rubber soles to make all weather track surfaces. They also make carpet padding, basketball courts, and ground padding for children’s playgrounds. Nashville-based Soles4Souls facilitates the donations of footwear, which are used to aid the hurting worldwide. 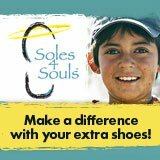 Soles4Souls has donated more than 3 million pairs of shoes since its inception (one pair of shoes every 28 seconds). The charity was recently featured on NBC Nightly News with Brian Williams. Shoe companies, retailers and individuals can donate both new and “gently worn” footwear. Soles 4 Souls is a 501(c)(3) recognized by the IRS; donating parties are eligible for tax advantages. For more information about Soles4Souls, please call (866) 521-SHOE, or visit http://www.giveshoes.org or http://www.soles4souls.org. So whatever you do, please don’t throw your old running shoes in the trash! I am a Masters Athlete and Coach currently based in London UK. My other projects include the Bud Winter Foundation, writer for the IAAF New Studies in Athletics Journal (NSA) and a member of the Track & Field Writers of America. Copyright © 2019. 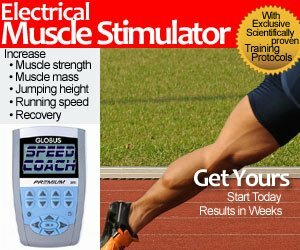 SpeedEndurance.com is owned and operated by Aryta Ltd.